Built to move. The Skyline was born from where innovation and adventure converge. 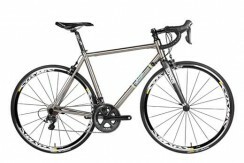 This American made titanium road and race bike combines refined geometry with a stiff bottom bracket for a smooth and comfortable ride with highly responsive handling for wherever the journey takes you.